Speaker of the House, Michael Madigan. CHICAGO—Shen Yun Performing Arts is returning to Chicago once again, opening at the Civic Opera House on April 2 and running through April 5. But Illinoisans can also look forward to the elite classical music and dance company stopping at two other spots this year: on April 8 it opens in the state’s capital, Springfield, Ill. before moving on to Normal, Ill. for an April 13th performance. In the days leading up to its Chicago arrival, many letters and greetings were received from Illinois officials celebrating the contributions Shen Yun has made to the state. Independent of the Chinese regime, Shen Yun was established in 2006 in New York with a mission “to revive the true, divinely inspired culture of China and share it with the world,” according to the company’s website. 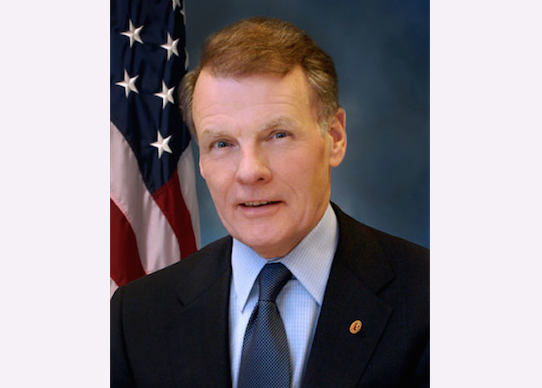 Speaker of the Illinois House of Representatives, Michael Madigan, wrote a greeting letter welcoming Shen Yun to all three cities. “Now in its sixth full season with more than 1,500 performances to date throughout North America, Europe, Asia and Australia, the Shen Yun Performing Arts, the largest ensemble of Chinese dancers and musicians in the world, is committed to showcasing traditional Chinese culture and enhancing international understanding,” the Speaker of the House wrote. Toni Preckwinkle, President of the Board of Commissioners of Cook County, sent her greetings to both the performers and audience. “I laud Shen Yun Performing Arts for the deep sense of mission which informs its artistic work—the mission of restoring the jewels of traditional Chinese culture. “I wish all of the professionals associated with Shen Yun as well as all in the audience enjoyable and memorable performances,” President Preckwinkle wrote. Dr. Gopal Lalmalani, Oak Brook village president, issued a letter to “acknowledge the success” of Shen Yun, and thanked the local organizers for brining the performance to Illinois. “The path that you have chosen to follow will forever be marked by all the lives that you have changed,” wrote Dr. Lalmalani.